This is the fourth post in a series of posts about the most common and damaging mistakes jobseekers make. Read the full series here. If you followed the advice of our blog posts about the first three deadly sins of job searching, you now know what you want and what you can contribute, you have a networking strategy in place, and you have a well-written resume. Great, well done! You are ready to get the word out to your network and to recruiters that you are on the market. Yet despite good qualifications, you get no leads or interviews. Have you monitored your social media presence lately? Is your social media presence holding you back? You want to be on social media while job searching! Social media platforms can be of tremendous help in finding a job. But your presence can also cost you the job if not managed carefully. The vast majority of recruiters and/or hiring manager will check you out on the internet! LinkedIn: If you are in a professional career, you need a LinkedIn profile. The profile needs to be complete, including a professional picture. All LinkedIn content needs to be professional; this is not the place for your vacation pics or party exploits. For more information on LinkedIn see our previous post. Facebook: If you use Facebook exclusively for private non-professional content, make sure to lock it down and set your privacy settings to the most restrictive settings possible. Don’t let anybody tag you in pictures; don’t let anybody post anything to your timeline. Delete old profile pics. Don’t post incriminating pictures, and be careful about what you post or articles you share or like. Beware of public groups. Despite all these potential negatives, Facebook can be a good networking tool. Twitter: Twitter is inherently public. So adjust your strategy while job searching. If you follow any divisive or questionable groups or organizations, drop them while you are on the search. Also refrain from commenting on, posting, or retweeting such content. Do not share or retweet incriminating pictures of any kind. Do use Twitter to follow, comment on, engage in and retweet content that is highly relevant to the job you are looking for. Instagram: Again, beware of the pictures you post, what you like and comment on. Do use Instagram to post pictures, follow, and engage in content and organizations that support your job search and show your interest in the subject matter. Ideally you want to use all your social media accounts for a branding campaign. You know what kind of job you are looking for and you know the kinds of organizations you’d most like to work with. Now you can utilize social media to learn as much as possible about these organizations and engage with them. Follow their social media presence, engage with and comment on their posts, post relevant content on your own feeds, and use targeted hashtags. If you do this well, maybe your next job will find you. If you need assistance in creating LinkedIn profiles or learning about social media for the job search, call the Career Center at 225-231-3733. Stay tuned for the next deadly sin of job search. This month’s selections are all about those most crucial job-search tools: networking and personal branding. Shyness can hold your career back by making you less able to forge connections, communicate effectively, and handle difficult people. This guide, written by two accomplished psychotherapists, aims to help you overcome your shyness, through a combination of useful information, case studies, and simple exercises. This book is subtitled, “Because People Do Business with People They Like,” and that philosophy is the foundation for this whole book. The guide combines activities, what-if scenarios, and self-assessment exercises to create a plan to help you become more likable – without being phony or insincere. Author Michelle Lederman is a corporate trainer specializing in communications and leadership. Too many people make the mistake of simply pasting their resume into LinkedIn, which can give it a generic look that may not be as attractive to potential employers. Instead, use the tips in both of these thorough guides to create a customized profile, focusing on your personal keywords, experience, and accomplishments. These tips can help you make a great first impression on the world’s largest business networking site. If you’d like to check out any of these books, you may place a hold on them through the East Baton Rouge Parish Library website. If you missed our August seminar on “Social Media for the Job Search,” here are the key takeaways. Over 90% of recruiters are using social media these days. They can use them passively to check you out. Or they use them actively to search for candidates. Most likely they will do both. 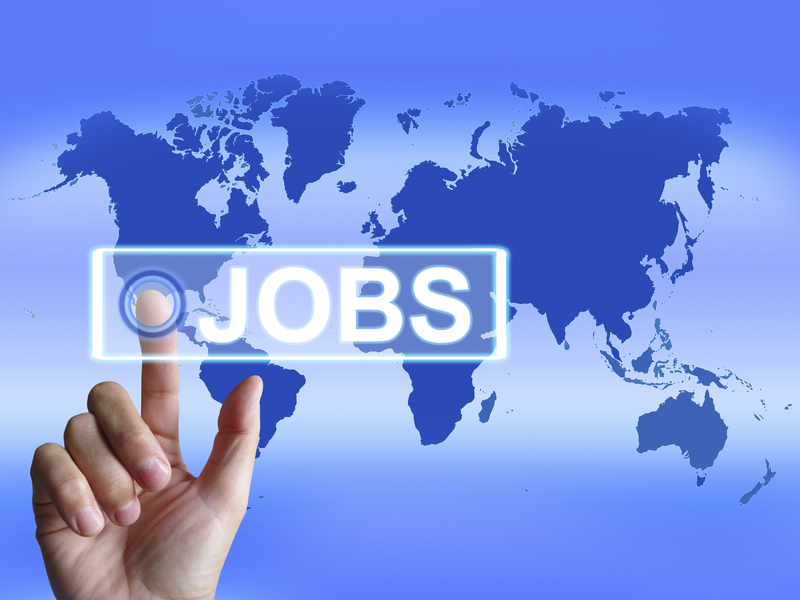 The big three for job search purposes are LinkedIn, Facebook, and Twitter. This is pretty straight forward. Facebook and LinkedIn both feature job boards, where companies can post open positions. Users have the option to apply directly on Facebook and LinkedIn. While applying with your LinkedIn profile is perfectly fine as long as your profile is well written and complete, applying with your Facebook profile is probably not your best bet. Most people use Facebook primarily for private interactions, so there is not enough work specific information on there. If you see a job posted on Facebook, go directly to the employer website to apply rather than apply through Facebook directly. Many companies also announce open positions in their updates and tweets. Therefore follow the organizations that you are interested in to immediately become aware of newly announced positions. On Twitter, some companies even have separate twitter handles for their recruiting division. 80% of open positions are never advertised and are found through networking. Social media can be a great tool in your networking efforts. LinkedIn was specifically created to facilitate professional networking. Use it to find people you know at your target companies, to find people who can connect you to your target companies, to reconnect with old college friends and colleagues, to discuss professional issues with colleagues, etc. Use your network of friends on Facebook and Twitter and let them know that you are looking for a new opportunity. Craft a targeted message letting your friends know exactly what you are looking for, what your expertise is, and how your expertise and experience can benefit a future employer. Social media is tailor-made for developing your personal brand. Before you start posting, determine exactly what your professional expertise is, your target audience, and how you want to position yourself. Identify influencers and organizations you want to follow and engage with. In order to make the most of social media, you have to be very active, post often, comment on others’ feeds or in groups you belong to, and engage your audience. By following your target organizations on social media you will gain a lot more insight into those organizations than by just looking at their websites. Social media are often updated in real time and much more frequently than websites. This allows you to get a much better grasp of company culture. The better you know a potential employer the better you know if it might be a good fit for you. As an added bonus you will be the first to learn of new opportunities, since these days many companies announce open positions on social media first, before updating job boards. While you are job searching, be especially vigilant about what you post on social media! Compromising information has a way of “getting out there.” So don’t post anything you don’t want a potential employer to see. Building a good personal brand on several social media platforms takes a lot of time. If you don’t want to or can’t devote a good bit of time to it, concentrate on one platform and use that one well. For most people in corporate America, LinkedIn will be the platform of choice. If you have Facebook and Twitter accounts that you don’t want to use for your job search, set your privacy settings on the highest level possible! Watch what you post! Abstain from posting photos that are sexually explicit or involve alcohol and drugs! You might also want to hold off on pictures showing you skydiving, bungee jumping or being involved in other activities that potential employers might consider dangerous. Do not post about divisive issues such as politics or religion (unless you are looking for work as a political consultant or pastor, of course). All of these can get you screened out! If you need help creating your LinkedIn profile or crafting your personal branding message, contact the Career Center at (225) 231-3733. LinkedIn: Do I really need it? If you are in a professional career in Corporate America, the answer is yes! If you are job searching in Corporate America, the answer is a resounding yes! According to the company, LinkedIn hosts the profiles of more than 400 million users in 200 countries and territories. 133 million of those users are in the United States. Recruiter surveys show that 93% of recruiters use LinkedIn to either vet candidates or proactively search for new employees. Yes, you heard right, 93%! If you cannot be found on LinkedIn, you might as well be invisible. Apart from being found by recruiters, LinkedIn is most useful as a networking tool. It’s about establishing connections with other professionals. 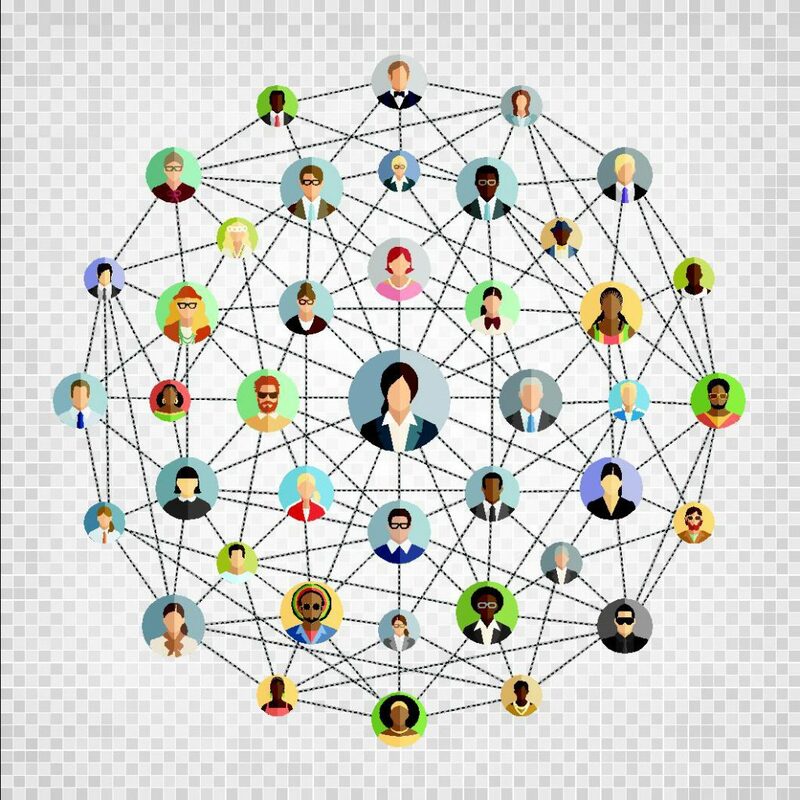 Job search and career advancement are all about networking. LinkedIn makes it easy to find and establish connections and to leverage them for a potential job search. It will help you research companies, open positions, and people working for those companies that you may want to connect with. Recently LinkedIn has also beefed up its jobs database and job search feature, so that you can use it as a job board and often directly apply through the site. As stated above, LinkedIn is most important for people in Corporate America. Small business owners are also seeing LinkedIn gaining in importance for creating new business and marketing. However, there are fields, where this social network is less instrumental, such as academia. You have to start by creating a profile. This is very straightforward, just follow the prompts. Make sure your profile is complete! That includes your summary, work history, education, a photo, and recommendations. There is an indicator of “profile strength” on your profile page, which will show what you are missing if your profile hasn’t made it all the way to “all star”. Completeness of profile is important, since only complete profiles will appear at the top of recruiter search results! And, yes, you do need a (professional!) photo and recommendations from connections for your profile to be complete. The next step is to get connected to other LinkedIn users. Just start by connecting to people you know, such as current colleagues, former colleagues, family and friends, alumni from your alma mater, etc. The more connections you have, the more people will also want to connect with you. Your network will grow exponentially. If you would like help creating your LinkedIn profile, the Career Center will help you. We offer one-on-one help, LinkedIn workshops, and books about the subject. For very good current LinkedIn information you can also follow Joshua Waldman’s blog. This is the first in a series of in-depth posts about different features and functionalities of LinkedIn. So stay tuned! When and Why Do I Need a Cover Letter? The Career Center serves our community as a catalyst for the development of a career-resilient, self-reliant workforce. Established in 2004 by the East Baton Rouge Parish Library with a grant from the Baton Rouge Area Foundation, the Lamar and Reilly Family Foundations, and the Junior League of Baton Rouge, the Career Center serves employees who are being terminated, those seeking new skills and responsibilities, those just entering the workforce, and those looking to change careers. The Career Center is not an employment agency or a job training agency. It is a free public service offering trained and professional help and extensive resources to identify your needs while planning a career path and conducting your job search. The Career Center does not endorse any company, organization, or website. We merely provide information about the existence of certain resources. We make no claims as to their quality. Please use your own best judgment in determining whether a resource is right for you.